Let me get straight to the point – wildlife management using lethal methods such as culling or killing is not just unethical and unnecessary, it is scientifically proven to be inefficient in almost all cases, in particular long-term. However, despite this common knowledge, governments, farmers, hunters, gamekeepers, pest controllers and many conservationists will almost exclusively suggest lethal methods of wildlife control as the most effective solution in wildlife conservation, wildlife management and to address any wildlife related problem. Scientific evidence suggesting the opposite will be commonly ignored, wrongly interpreted, or used out of context. There are many known factors, which influence public opinion and behaviour, but also common and widely accepted management practices. First we will highlight some of the more common problems and misperceptions, as this kind of background information may prove useful for the general understanding, before we will explore examples of lethal wildlife management and their consequences. The problem is fuelled by misleading mainstream media reports, which are severely influenced by certain lobbies liaising with mainstream environmentalists, conservationists and certain groups of so called ‘animal and nature lovers’. So it is not surprising that a misleading terminology is sometimes intentionally used in media articles, presentations and daily discussions. For example, an ‘Area of Outstanding Natural Beauty’ (AONB) may well be beautiful, but might not have anything to do with actually being ‘natural’. To qualify as an AOBN it must meet the ‘natural beauty criterion’, like being a good quality natural or manmade landscape with scenic quality, which can include the built environment. Most of these areas are managed and maintained to keep them accessible and more importantly enjoyable for humans, which doesn’t mean that these areas will actually make good wildlife habitats. Trying to restore the ‘natural balance’, which is often mentioned in this context, is the biggest myth ever after the denial of climate change. This so called ‘natural balance’ does only still exist in very few remote places of the world. Habitat restoration projects will always remain halfhearted and very much speciesist unless human impact onto these habitats is being eliminated, something which is unlikely to happen, at least not at a bigger scale. Many humans have become disconnected from nature, and some of the people affected are suffering to at least some degree of a condition known as cognitive dissonance. Cognitive dissonance is known as the psychological stress experienced by a person who simultaneously holds two or more contradictory beliefs, ideas or values. This discomfort is triggered by a situation in which a person’s belief clashes with new evidence perceived by that person. When confronted with facts that contradict personal beliefs, ideals and values, people will put themselves under pressure to find some way or excuse to resolve the contradiction in order to reduce their discomfort, which often results in confrontation and arguments when challenged. Cat owners, who let their cats freely roam, are a textbook example. It is well known and scientifically proven that cats are having a severe impact onto our declining song bird population. Almost all cat owners know, but tend to ignore this fact, that their free roaming cat will catch, kill or injure other animals. It is also known that most people don’t like to directly or indirectly inflict harm onto others, be it other humans or non-human animals. Seeing the own cat doing what cats do, catching and killing other animals, triggers a moral conflict and leads to the state of cognitive dissonance. Plausible excuses need to be found, which explain the cats’ actions and also cover up the own lack of responsibility as a pet owner. The cat behaviour of hunting is often being defended as the behaviour of a ‘natural’ predator, although cats are clearly domesticated pets without a place in our already fragmented, fragile and mostly man made ‘natural’ ecosystem. However, a domestic pet cat killing birds is as ‘natural’ as a cat being killed by a car! 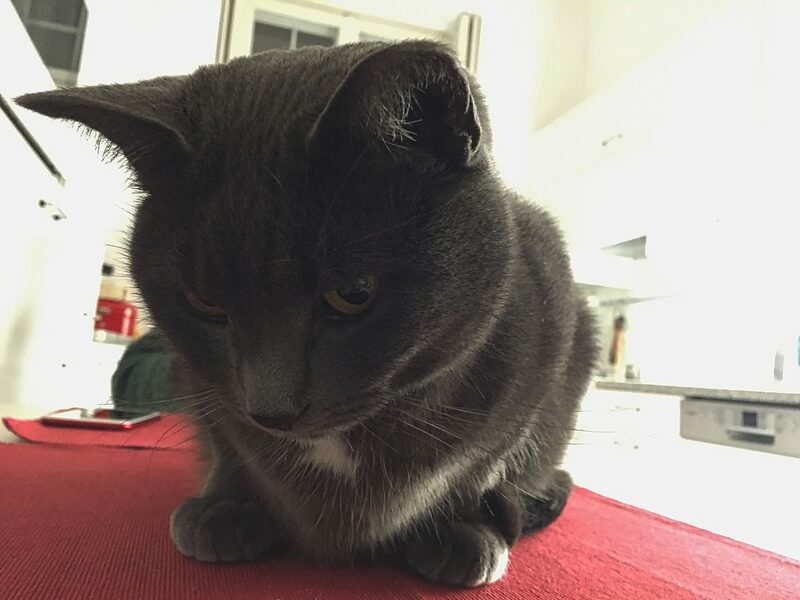 Even the well established risk of free roaming cats being prone to be injured or killed by cars or other predators does not genuinely influence the attitude of most cat owners. People getting closely involved in hunting and culling may also suffer of some degree of cognitive dissonance. However, it needs far more than just a moral conflict and some freely invented plausible excuses to cross the line from being a passive bystander to act as a person who abuses or kills sentient non-human animals for fun and pleasure, often under the disguise of sport or wildlife conservation. It needs a person with a set of traits known as the ‘Dark Triad’ that include the tendency to seek admiration and special treatment (narcissism), to be callous and insensitive (psychopathy) and to manipulate others (Machiavellianism). Acts of cruelty to animals are not mere indications of a minor personality flaw in the abuser; they are symptomatic of a deep mental disturbance. The research is pretty clear that there are connections between animal abuse and domestic violence and child abuse. There is also that widespread misperception of nature being a paradise, where all animals live happily together and enjoy an abundance of food and shelter provided for free. Reality is far different from this misguided believe. Nature is cruel and the extent of wild animal suffering is beyond what most people are able to comprehend. Any wild animal, which has been rescued and rehabilitated after he or she suffered a predator attack or injury, most likely directly or indirectly inflicted by humans, will be sent back to hell, when being released. Death waits behind the next shrub or corner, and the presumed ‘freedom’ in the wild might be very much short lived. In fact, being rescued and subsequently released, could be ethically seen as extending the suffering of a sentient individual. Looking at the problem from this view point, one should truly re-evaluate our own actions, and at least make sure that wild animals are treated with the respect they deserve and at the highest standards available. They should only be released when sufficiently assessed, prepared and in best health. 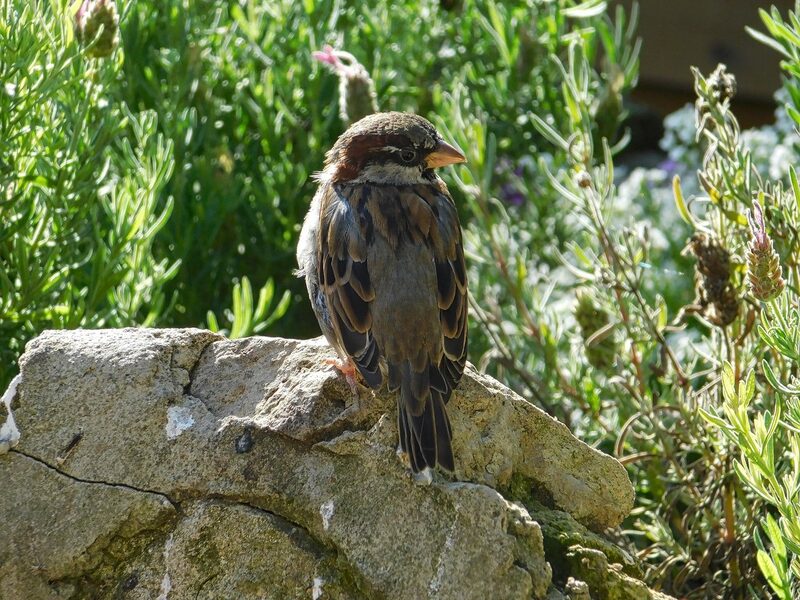 The pest control industry pumps out huge volumes of misleading propaganda each year in an effort to convince the public, and those experiencing bird-related problems, that there is a need for lethal control of wild bird populations. Pest control is big business, and truly solving an animal related problem would be in fact damaging to exactly that business. Similarly, breeding game birds for the purpose of shooting them for pleasure is a fast growing industry. Anything that gets in the way of a farmer or landowner that sells these services is slaughtered out of hand. Most of the anti-magpie and anti-predator propaganda originates from game shooting interests. The organisation Song Bird Survival Trust is also known to be behind much of this propaganda. In order to resolve any animal-related problem, assuming that this problem exists in the first place, there has to be an understanding of the species and its environment. In most cases advocates of culling simply do not have the necessary understanding of the target species and how that species will react and respond to the lethal controls provided. At best, lethal methods used will be a quick-fix only and the situation will then be back to where it started within a matter of weeks, or the resulting situation might actually turn out to be worse than to begin with. The best known example is the cull of feral pigeons. Scientific research has proven, conclusively, that all lethal methods of pigeon control are totally ineffective in the medium and long-term reduction of pigeon numbers. The same applies to the control of virtually every other species of wild bird. Pigeons control their own numbers very effectively according to the volume of food available to them. However, this also means that one reason for the steady increase of pigeon flock sizes is the uncontrolled overfeeding of pigeon flocks. The second reason, which leads subsequently to an increase of the available food supply, is culling. If the available food supply increases following a cull, pigeons will breed continuously until the flock reaches the point where it is fully exploiting the food available to it. The end result is a marked increase in flock size over and above the pre-cull figures. Because pigeon flock size is based on the extent of available food, no conventional controls, irrespective of their effectiveness, can reduce pigeon numbers in a given area. In order to achieve this goal the problem must be dealt with humanely at source. Artificial dove coves and pigeon lofts are the preferred humane and non-lethal solution, which also often feature controlled feeding stations for their inhabitants. As an example, for one breeding pair, it is predicted that about 24 young birds are taken out of the system in one year via egg removal and replacement with dummy eggs. Our ‘own’ six rescue pigeon breeding pairs alone would therefore theoretically produce about 144 birds in one year, if we wouldn’t replace their eggs. 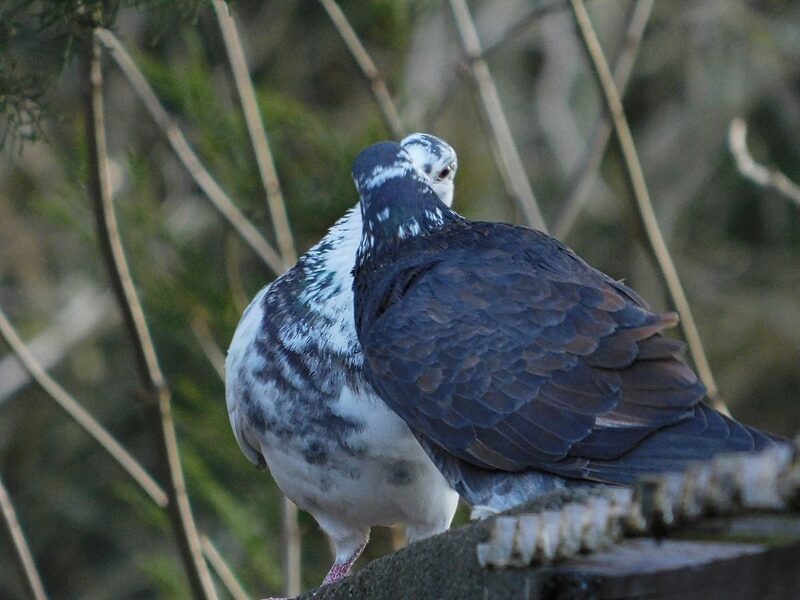 The racing and homing pigeon industry is another never ending source of animal suffering and cruelty, which is also continuously increasing the numbers of feral pigeon flocks. If stray birds are lucky enough to survive their ordeal, they might join feral pigeon flocks and increase their numbers further. According to a study undertaken by the Scottish National Racing Pigeon Club, 56% of the loft population is lost each year either at the loft, in training or during races. By their own admission, they found that members lost 33,043 birds during training flights and 34,685 during races. 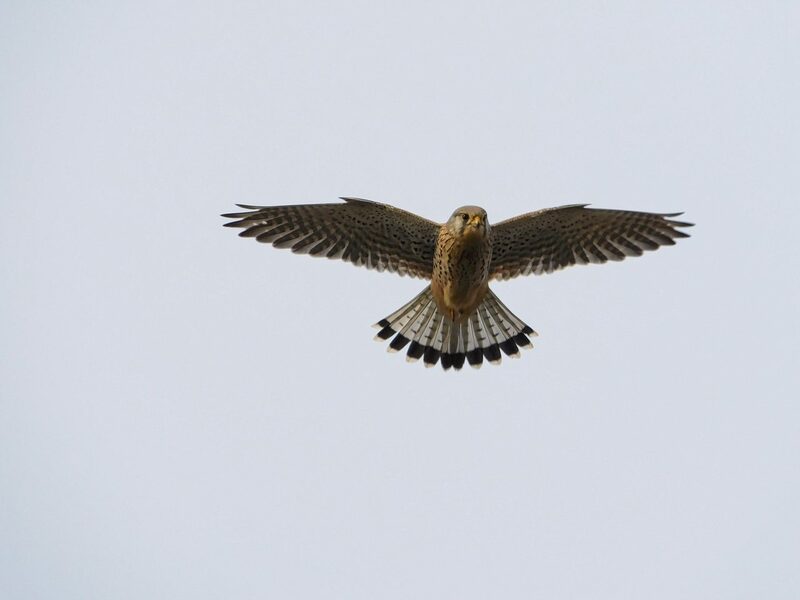 The figures for losses amounted to an average of 40 birds per loft per year. 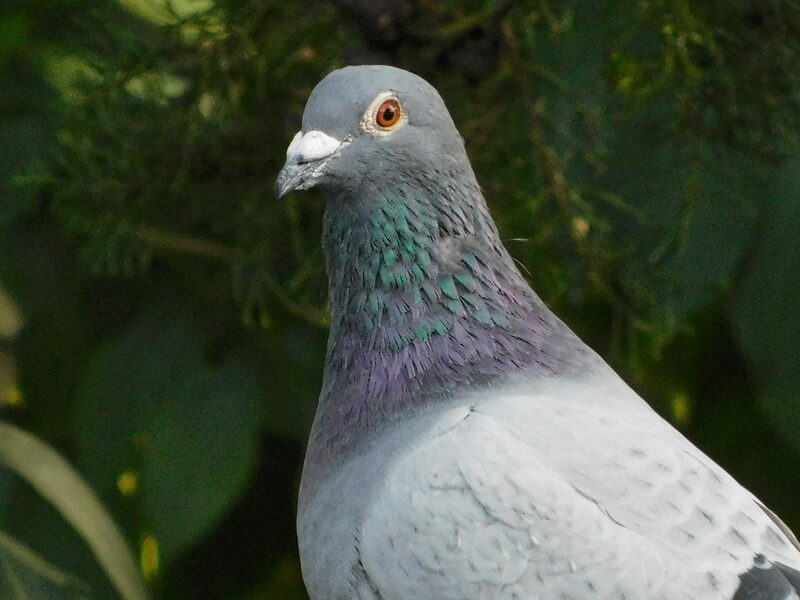 According to the Royal Pigeon Racing Association there are 60,000 pigeon fanciers in the UK. If one applies the figures from the Scottish studies, this would suggest that UK fanciers lose around 2.4 million birds per year! The outlook for these missing birds is grim. Most of them will die on route due to dehydration or get lost and die later of starvation or predation. Some of the lucky ones may be rescued or join a feral pigeon flock. Again, it seems that ‘pigeon fanciers or lovers’ do suffer of some degree of cognitive dissonance and hypocrisy, which also explains their involvement in legal but also in illegal persecution of birds of prey, who usually come in handy as scapegoats and are used to cover up pigeon fanciers’ wrong doings. The story of gulls is similar to that of pigeons. 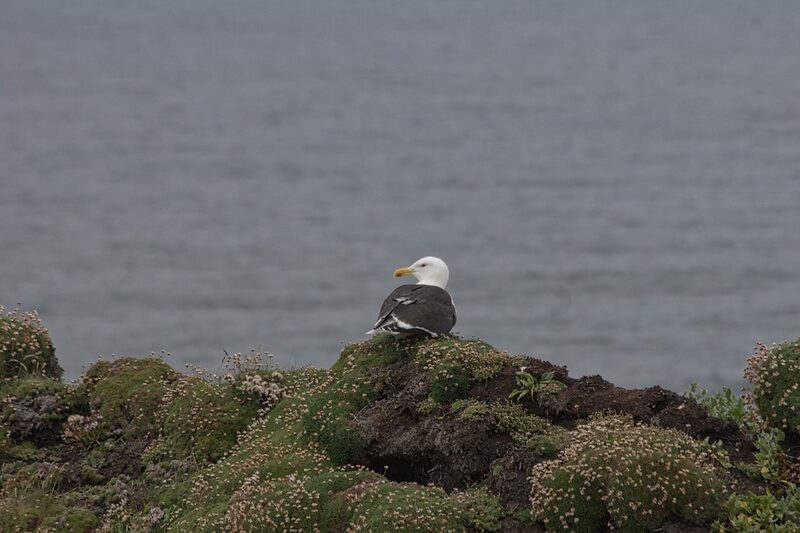 With the massive rise of fast food outlets and huge increase in landfill sites throughout the country, gulls have been encouraged inland to exploit these ready made food sources. Gulls have also learned to appreciate the benefit of exploiting urban areas for the purposes of breeding, in particular as natural habitats are being more and more destroyed. Man has provided gulls and pigeons with optimum predator-free breeding facilities in the form of buildings, combined with easy and available food sources. Although many species of duck seem to cause problems in urban areas, it is the mallard duck, which is the most commonly controlled species. It is only in the last three decades that ducks have been starting to cause problems in areas of human habitation, mainly due to uncontrolled overfeeding. Due to their size, greylag and Canada geese are tolerated less readily than mallards. Whereas ducks will spend much of its time on water when feeding, geese will spend more time out of the water and therefore fouling inevitably becomes an issue. 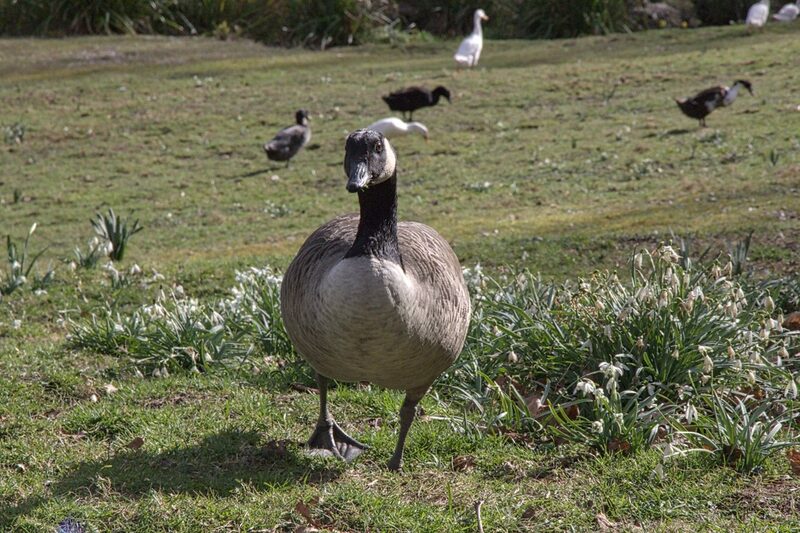 These birds, swans included, are also often accused of being aggressive toward children. However, this is simply another by-product of uncontrolled public feeding. 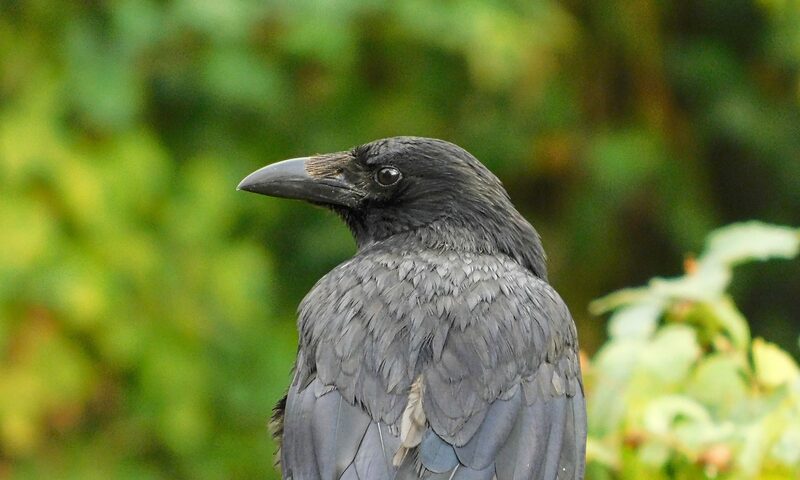 Rooks are commonly associated with crop damage. Although they will take grain where and when they can get it, worms and leatherjackets form a large part of their diet and damage to crops is wildly exaggerated. This is particularly true during spring time, as animal protein does form the main part of their diet, which is essential to successfully raise their young. Crows and ravens are also blamed for attacking lambs, but this rarely ever happens and usually affects ill or dying animals. The real reason they are not tolerated by farmers and landowners is because they eat the eggs of ‘game birds’ or take their chicks. Magpies and jays are now becoming a common sight in urban gardens, but were once almost exclusively rural birds. As with so many species of bird that are now becoming a problem in urban areas, the exodus from rural environments is almost exclusively caused by the excessive use of lethal controls, in particular hunting. Magpies are most commonly associated with taking chicks of protected birds and have received a bad reputation as a result. The irony is that the so beloved domestic cat, and its feral counterpart, gets usually completely taken out of this equation as the voracious predators he or she is. The fact that cats kill far more protected birds and their chicks than magpies ever will, gets once again conveniently ignored. Hedgehogs and squirrels are also predating on bird eggs, something many self proclaimed ‘animal lovers’ often don’t like to acknowledge either. Despite readily available evidence farmers and landowners slaughter magpies in huge numbers using shooting or cage-trapping with Larsen traps. So called ‘animal welfare laws’ are in place, but as they have been solely created to protect the monetary interests of farmers, shooting industry and landowners, they do not protect the animals concerned. Illegal poisoning and trapping are on the increase, showing once again that farmers, hunters and game keepers have no respect for wildlife and nature, unlike they want us to believe. Starlings and sparrow have been historically connected with causing problems to property owners during the breeding period, but today both species are in decline. 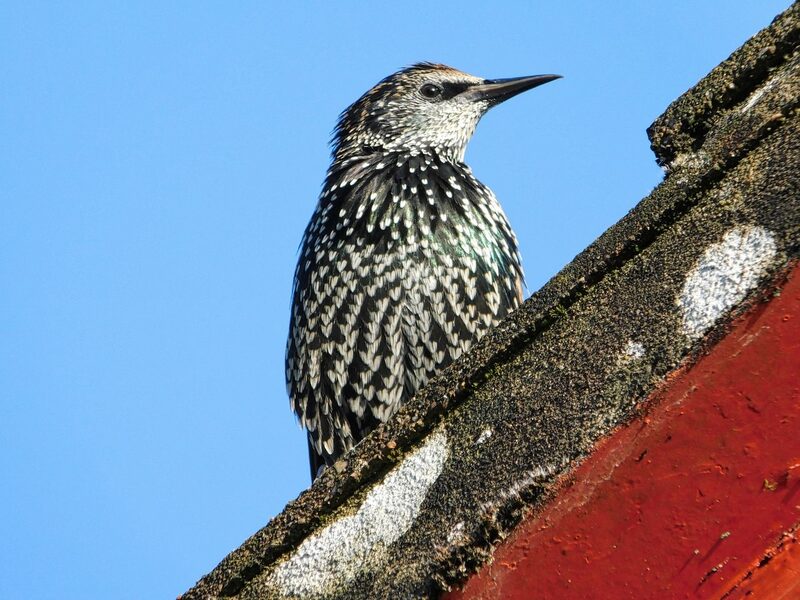 Both species can breed in trees or hedgerows, but build commonly nests in roof voids, where they are perceived to be a problem. In reality neither bird causes any type of problem in a domestic property where their presence has little if any impact. Nests of starlings and sparrows cause no damage other than a few twigs in the roof void. No smell is associated with their presence and contrary to advice provided by the pest control industry, birds do not harbour diseases. 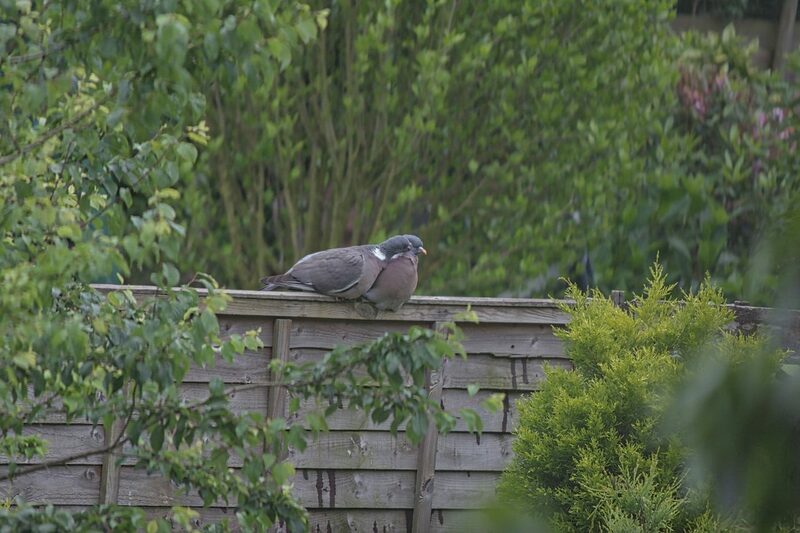 The wood pigeon is another of the rural refugees that has started to move into urban areas to find harbourage from the pursuit of rural blood sports. Wood pigeons are shot in their hundreds of thousands all year round by farmers and landowners, mainly for ‘sport and pleasure’, but in the guise of wildlife control. 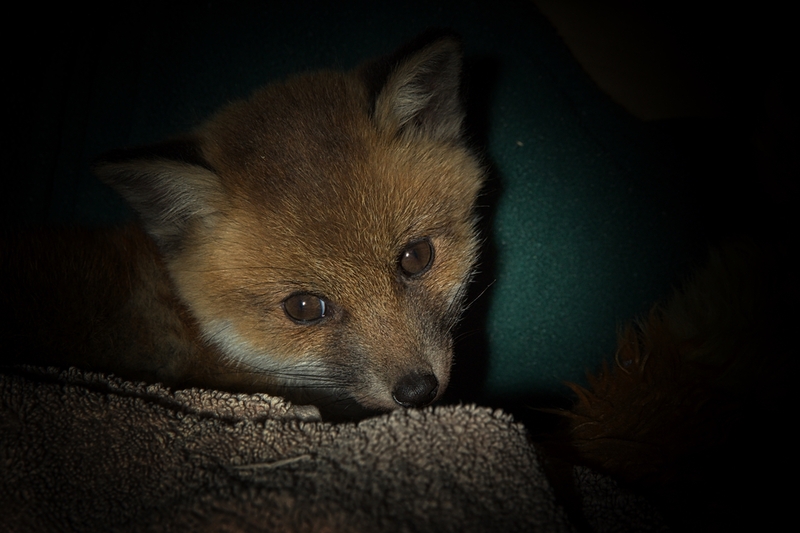 It is a well known, and a very much loved argument of culling advocates, that many species of predatory mammals and birds have increased in the UK during the last decades. 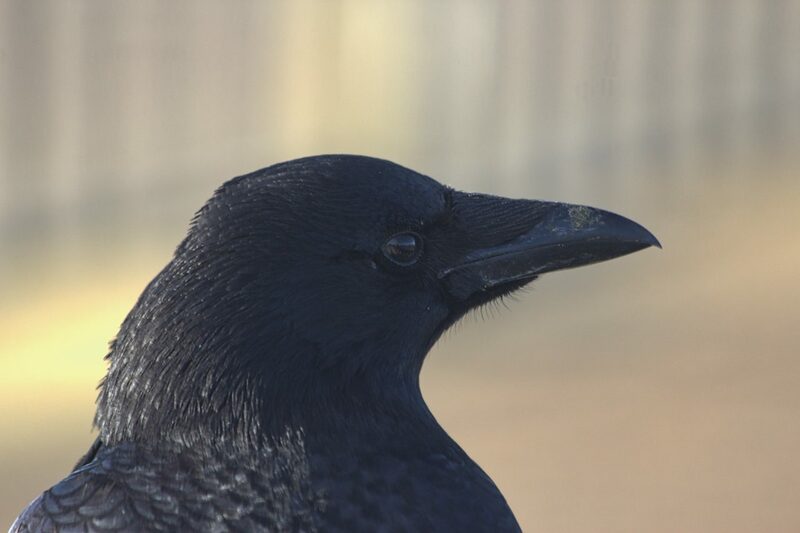 Studies have shown that the density of foxes and crows, two generalist predators often highlighted as important predators of birds, are very high in the UK. 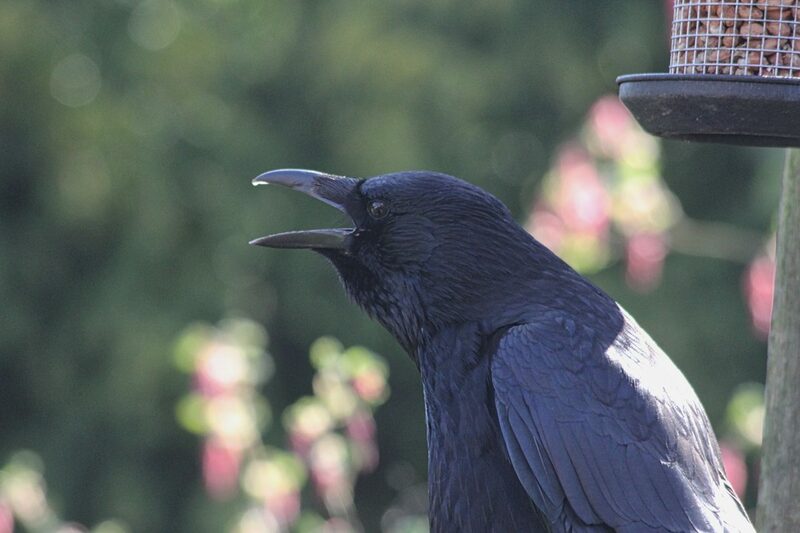 In fact, our crow density was the highest and our fox density was the second highest in Europe. The density of magpies was intermediate compared to other European countries. However, studies have also clearly shown that these animals are not responsible for the decline of songbirds. The main causes of recent declines in the biodiversity of native birds are all entirely manmade. Human population growth, habitat destruction, forrest defragmentation, pollution, animal agriculture, global warming, hunting, fishing, herbicides and the introduction of exotic species are just a few of a large number of serious causes. The extensive and widespread use of herbicides, but also pollution and overfishing, are the main reasons, which have led to an almost compete eradication of wild animal food sources like insects and fish. Habitat destruction or wrong habitat management is another very common cause. Patches of woodlands and forestry can provide breeding areas for generalist predators, and can therefore increase the predation pressure on birds nesting in the surrounding landscape. 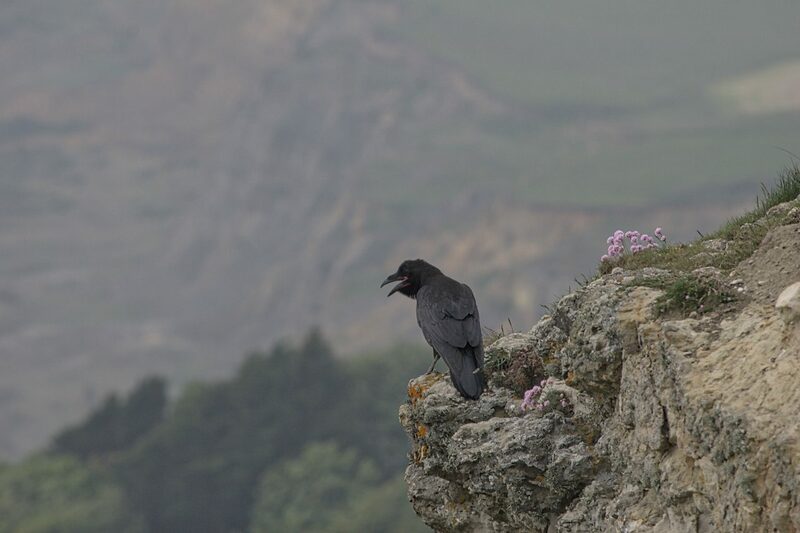 In addition, the near absence of top predators in many parts of the UK means that the natural ‘top-down’ control of intermediate-sized predators is just not happening at the same scale as in mainland Europe. Similarly, the legal release of around 50 million so called ‘game birds’ into the UK countryside every year for shooting purposes provides an abundance of food for predators like foxes, thereby increasing the numbers of these predators that can survive and thrive in our landscape. Many of these birds are not killed by shooters, but will fall victim to road traffic accidents. This creates a steady supply of carcasses for scavengers like buzzards and crows, which easily explains the increase of their numbers. Other main causes of bird mortality, which should not be ignored, are window strikes, the already mentioned free roaming domestic and feral cats, as well as high tension wires, cars and hunting. Virtually every wild species on the planet will react and respond to lethal controls in the same way that birds do. Hunting or culling will almost always result in a short term decrease of population numbers, which is usually being followed by a marked population increase above and beyond pre-cull figures. This has been proven for many species, and not just for pigeons, foxes, deer or boar. Culling does almost always result in an increased spread of infectious diseases, as scientifically proven for foxes and badgers. Besides these scientific facts, culling or killing sentient beings is unethical and immoral! Culling and hunting in any form or shape, but in particular under the disguise of wildlife management or environmental protection is not needed. It does not work, and it does make things worse. Any wild animal related ‘problem’ can always be resolved by using humane and non-lethal control options.